As soon as they are born, babies are learning to focus on high-contrast images. 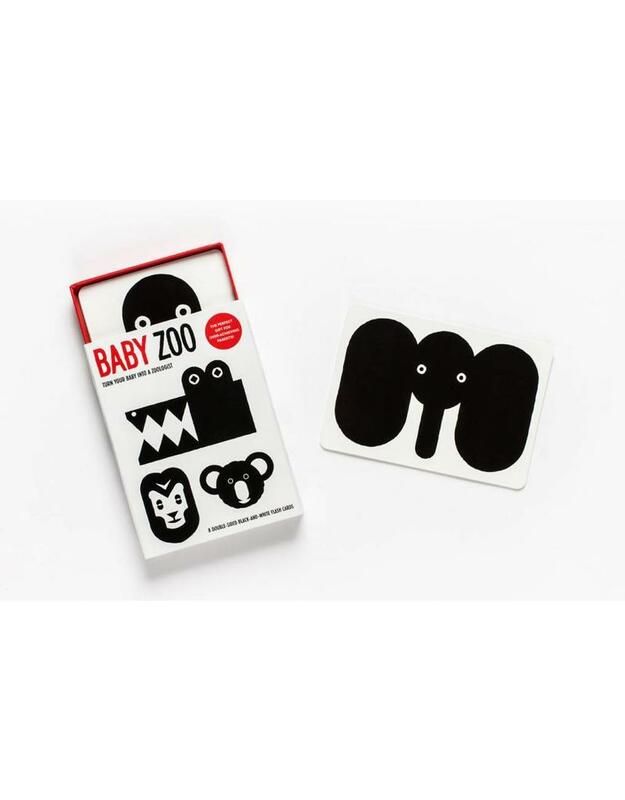 Stimulate and entertain your little genius with these striking black-and-white animal cards. It’s never too early to look and learn together! As soon as they are born, babies are learning to focus on high-contrast images. 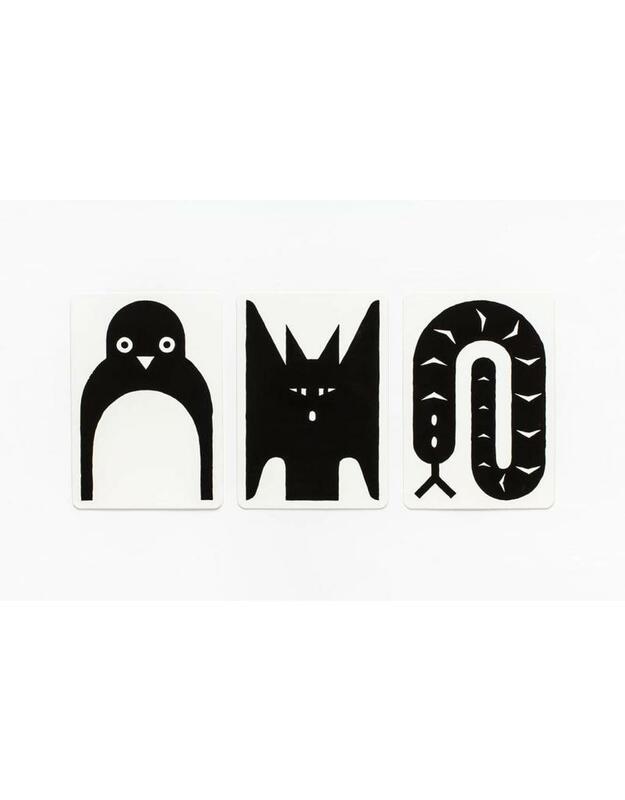 Stimulate and entertain your little genius with these striking black-and-white animal cards. 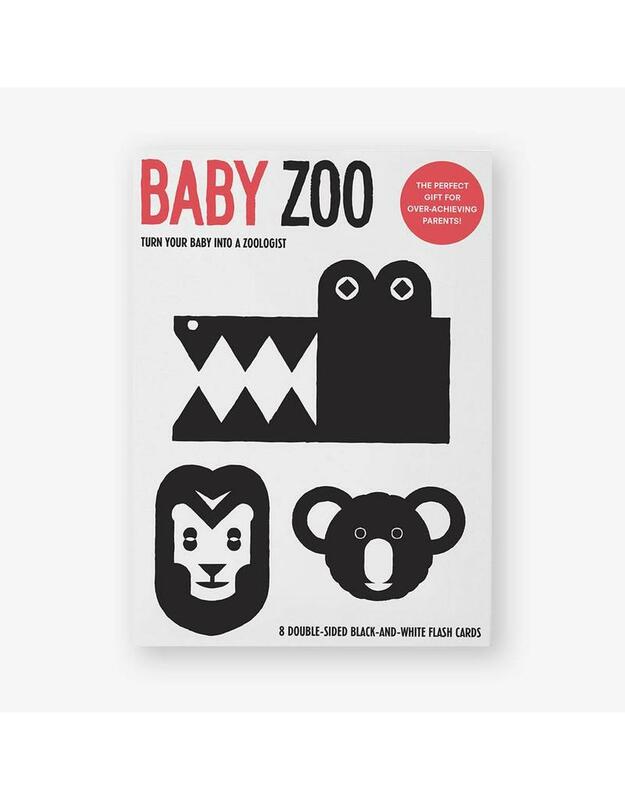 For the cot, changing mat and on the move… Your little one can be studying their favourite animals, from alligators to zebras, wherever you are! Note for parents: These cards cannot guarantee your child will grow up to be a scientific genius. Damien Poulain is a graphic designer and illustrator working across a wide range of fields, with a specific focus on art, fashion and music. He also publishes photography books under the name oodee.